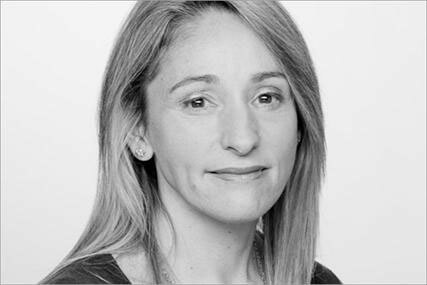 Clare Sheikh, global brand director at Vodafone, is believed to be exiting the telecoms giant and in the process of seeking legal counsel about alleged "uncomfortable" issues with senior management at the company. Marketing was tipped off that Sheikh had handed in her resignation last week, after just one year in the job. Neither Vodafone or Sheikh will confirm she is leaving the company due to legal sensitivities, but a Vodafone spokesman said Sheikh "is still in post and with the company". Sheikh told Marketing in a statement: "As the third person in less than three years to have held a comparable role within Vodafone, I considered it necessary to highlight issues with senior management - even if these were likely to prove uncomfortable. "I have placed the matter in the hands of my lawyers and have no further comment to make at this time." Sheikh joined Vodafone in September 2011 after stepping down in May the same year as group strategy, marketing and customer director at RSA after four years in the role. On joining Vodafone, Sheikh replaced David Wheldon, the previous group brand director, who left the telecoms firm in 2010. After Wheldon’s departure Vodafone’s marketing operations subsequently undertook a restructure with the role of group brand director remaining vacant for more than a year and a half. The situation appears to have come to a head only recently with an industry source claiming that their last meeting with Sheikh "was very much business as usual". However, the source added they would not be surprised if Sheikh was leaving due to the fact her job is a "high profile role which a number of people have passed through in recent years". In her role, Sheikh reports into Morten Lundal, group chief commercial officer and is responsible for the group’s brand framework, creative strategy and brand identity. She has a high profile in the industry with previous roles including group director of marketing and commercial strategy at ITV, managing director at AA financial services and consumer marketing director at Prudential Financial. Vodafone is yet to provide a comment at the time of publication.